Kids in Hot Cars: It’s Simple, Just Don’t Do It! Kids in hot cars unattended can spell disaster. Think before you get out of the car. This summer is only just halfway over, but already there have been a staggering number of reports of parents leaving their children unattended in hot cars in the last few months alone. With plenty of information available about the dangers of such a practice—not to mention common sense—is this happening more often than usual, or is the press choosing to highlight the dangers in the hopes of shocking caregivers into action? When I came across the latest article today regarding an Atlanta mother who left her children unattended in her car in 90 degree heat while she was in Kroger, I wondered the very same. As of July 25th, 18 children had died as a result of being left in hot cars this year. That’s compared to 44 in all of 2013, which suggests that the problem isn’t quite as bad this year—or could it be that this summer has been dramatically cooler in many parts of the US than last summer? No matter the reason, that still means that 18 children have suffered this fate in 2014 alone, which is 18 too many. According to a report by Jan Null, CCM, for the Golden Gate Weather Services, there have been 624 deaths of children left in hot cars since 1998. That means that an average of 38 children per year have lost their lives due to either forgetfulness or carelessness. The reasons surrounding this phenomenon include the child being forgotten by the caregiver in 51 percent of cases, the child playing unattended in the vehicle 29 percent of the time, and a whopping 18 percent of cases where the caregiver intentionally left the child in the vehicle. Given that your car can heat up a staggering 20 degrees Fahrenheit in as little as 10 minutes, leaving a child unattended for any period of time is absolutely inexcusable. Additionally, cracking the window does extremely little to help drop the temperature. Hopefully, with stories like today’s coming up more frequently, adults will realize the consequences of this behavior and will make a conscious effort to ensure that a child is never “forgotten” in a car while they’re in the grocery store. 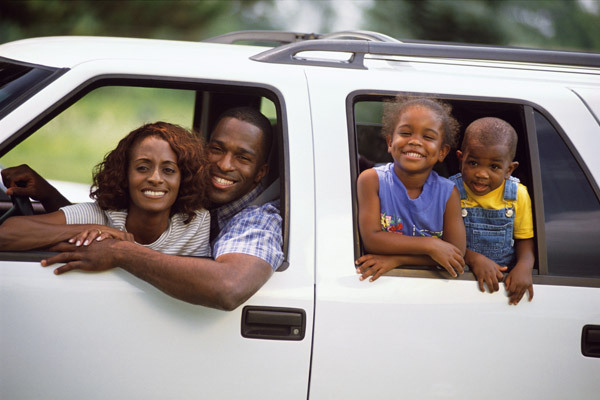 I can only hope that parents and caregivers will take a moment every time they leave the car to check and make sure their children aren’t in the backseat. It sounds simple, but doing so could save lives. To learn more about the terrifying statistics surrounding kids in hot cars, head to SaferCar.gov to see their infographic, and share it with everyone you know to help spread the word. Let’s make 2015 the year of no child deaths from this extremely avoidable issue.